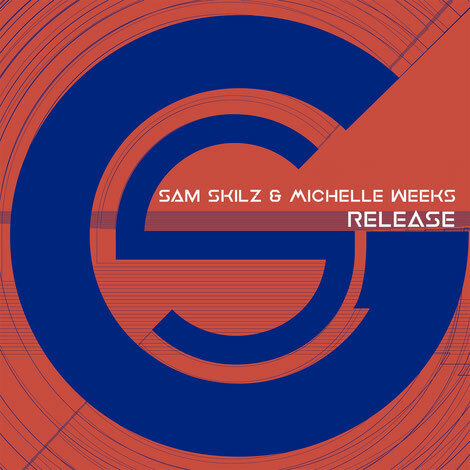 Luxembourg's Sam Skilz joins forces with one of our favourite vocalists, American Michelle Weeks, on this house track titled 'Release'. Michelle commands the dancefloor with her powerful directive over an uplifting backdrop of jackin' house beats. Also on the package, UK veterans K-Klass add a touch of the old school, injecting a huge hook made up of piano and strings. Cosimo Mele delivers a tech house mix armed with a dark, brooding bass ideal for the small hours. Sam Skilz is from the generation of artists who breathe, eat and think house music. His blend of straight house mixed with tech, driving basslines and anthemic vocals, shape his sound. He hit the spot #42 in Traxsource’s Top 100 House Artists Of The Year in 2014 and his productions have been signed with labels such as Sony Music, Virgin Records and Wagram, along with remixes and productions for abels like Warner Music, Hed Kandi, Urbana, Just Music, Hi-Bias, freakin909, Krafted and many more. His release, ‘I Love America’, featuring New York singer Emory Toler, got licensed to Urbana Recordings and featured a David Penn and Rober Gaez remix, apparently receiving global support. Since then he has gone on to release this track, ‘Release', together with Michelle, and also his collaboration with Roland Clark on ’Resist' and 'Don't Stop Pushing' featuring Kameron Ray, to name a few. In 2006 he launched Gaga Records, featuring artists Eddie Amador, Dany Cohiba, Lenny Fontana, David Penn, Grace Ashaye, Coqui Selection, Terri B!, Inusa Dawuda, to name just a few, as well as his own productions. He also hosts his Skilz Session Radio Show and podcast, airing on iTunes and also across Canada, Belgium, Germany, Spain and Cyprus. It’s out 3 March 2018 on Gaga Records.